It's the very first monthly challenge of Polish Party! Since I started nail blogging in January this year, I've met some really lovely people about the place - and it's been really great getting to know them on Twitter and Instagram etc. I had no idea when I started blogging that the nail community was as large as it is - but everyone has been very friendly and supportive which is fab. 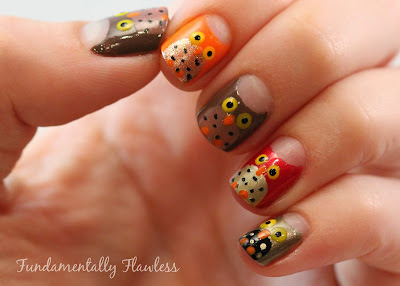 A few of us who are new to the nail blogging community this year decided we'd set up our own group and do a monthly challenge. We aim to post during the week of the last Monday in the month (though I realise some of us are posting a bit early this month!) 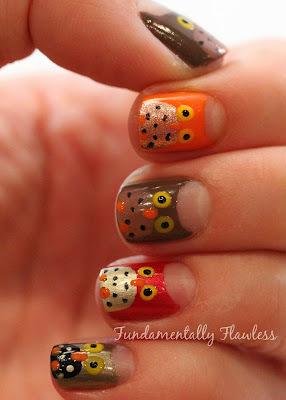 This month's challenge is "Autumn" - so I went for some little autumn coloured owls. I wouldn't normally wear nails like this, but they were a request for something I hope I'll be able to talk about properly in the future - watch this space! 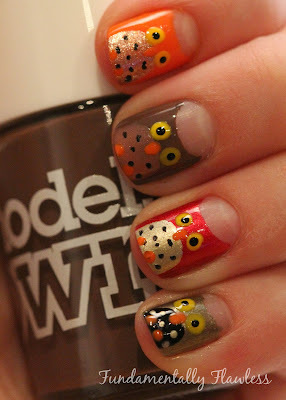 There were so many polishes used to do these that I can't possibly remember or list them all. I used ring reinforcers to block off the semi circle around my cuticle to give the owls ears, apart from that I just used the brushes in the bottles, a dotting tool for the eyes and black nail art pen for the dots on the owls' breasts. 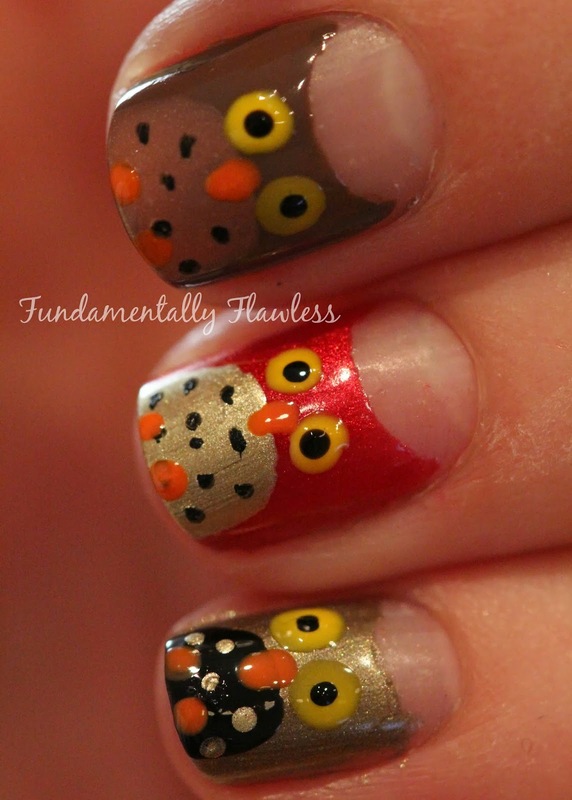 This is quite possibly THE cutest nail design I have ever seen! Absolutely love it! !